Includes the names: C. Simak, K. Sajmak, Simak C d, Kurt Simak, C.D. Simak, Clfford Simak, Cliford Simak, Ciifford Simak, Simak Clifford, Klifford Sajmak ... (see complete list), Clfford d Simak, Clifford Simack, Cifford D. Simak, Cliford D. Simak, Clifford D.Simak, SaĬmak Klifford, Cliffod D. Simak, simak,d. clifford, Clifford D. Simak, Clifford D. Simak, Dlifford D. Simak, Clifford D. Simak, Clafford D. Simak, Clifford C. Simak, Cliffprd D. Simak, Clifford Simak D., Clfford D. Simak -, Clifford D. Simack, Clifford D. Simalk, Clifford D. Simak's, Clifford Donald Simak, SIMAK Clifford Donald, ed. Clifford D. Simak, C. D. Simak (ed altri), Clifford D. Simak Simak, Clifford D. Simak editor, Клифорд Саймък, Клифърд Саймък, Edited By Clifford D. Simak, Клиффорд Саймак, Клиффорд Саймак, Clifford D. Edited By Angus Wells Simak, Clifford D. Simak: Het ding in de rots., Клиффорд Дональд Саймак, C. D. Simak: De cilinder in het berkenbosje. 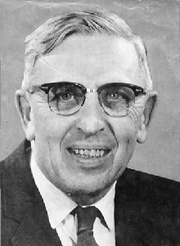 Clifford D. Simak is currently considered a "single author." If one or more works are by a distinct, homonymous authors, go ahead and split the author. Clifford D. Simak is composed of 46 names. You can examine and separate out names.